“Safety is more than a Priority, it’s what defines us”. At Ron Lee Construction we are committed to the Health and Safety of our workers, customers, the communities in which we operate in and the environment. Our safety culture is an integral part of our organization from the front line employees to the president. That is why, safety begins prior to starting the job by having our HSE professionals review the scope of the project and identify any potential hazards. At which point our safety team will provide any additional training, assistance or advice required to ensure a safe working environment. We believe in continually improvement and are proud of being recognized by our customers and industry associations for our excellence in health, safety and environmental protection. The Management of Ron Lee Construction Inc. is committed to the health and safety of its Workers. Protection of Workers from injury or occupational disease is a major continuing objective. Ron Lee Construction Inc. will make every effort to provide a safe, healthy work environment. Workers have the right to work in a safe and healthy workplace. All Supervisors and Workers must be involved in the continuing objective of reducing risk of injury and eliminating all accidents. 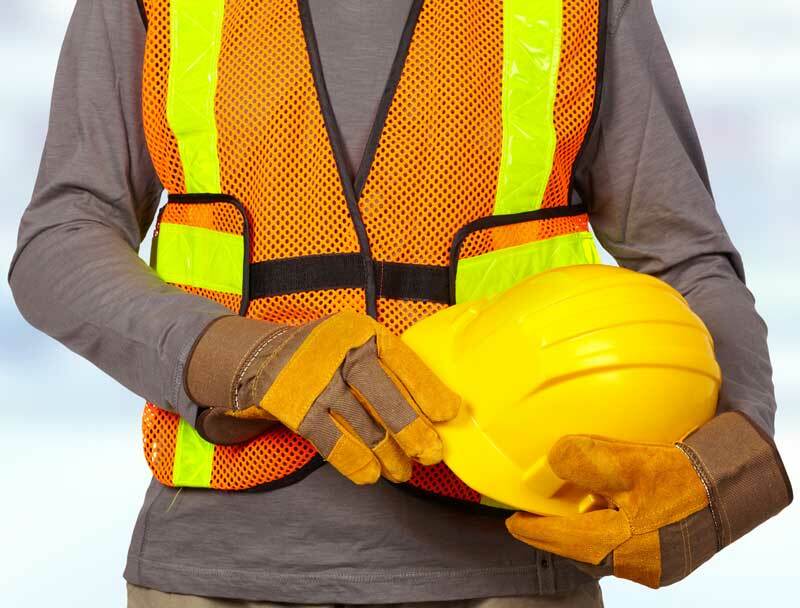 Ron Lee Construction Inc. and its Workers will meet or exceed all requirements of the Occupational Health & Safety Act and Construction Regulations. Ron Lee Construction Inc., as the Employer, or the Constructor, is ultimately responsible for the Worker’s health and safety. As President of Ron Lee Construction Inc., I will give you my personal commitment that every precaution reasonable in the circumstances will be taken for the protection of the Workers. Supervisors will be held accountable for the health and safety of the Workers and Sub-Contractors under their supervision. Supervisors are responsible to ensure machinery and equipment is safe and that the Workers are in compliance with established safe work practices and procedures. Workers must receive adequate training in their specific work tasks to protect their own health and safety and those around them. Every worker has the responsibility to protect their own and Co-Workers health and safety by working in a spirit of compliance, consultation, cooperation with each other towards the health and safety legislation and safe work practices and procedures established by the company. It is in the best interest of all parties to consider health and safety in every activity. Commitment to health and safety is an integral part of this organization, from the Chief Executive Officer to the Workers. Each job will require a site specific assessment to identify and/or correct any environmental hazards. any environmental restrictions or procedures that may apply.